The adidas Y-3 Kaiwa is the culmination of a critical point in the relationship between these two brands. Yohji Yamamoto is a visionary of progressive design. Though his ethos leans towards the dystopian, the Y-3 designer is an icon because of his futuristic takes on fashion staples. He brings together a flair for the forward-looking with a sporty discipline. The results are often answers to prevailing modern trends. Part of what Yohji excels at is presenting the opposite to what is quite popular at the moment. The way that he and adidas see it, there’s really not much reason to fixate on the fashion of the future if your vision keeps it the same. The Y-3 Men’s Kaiwa sneakers come in some premium base materials. What’s more, the shoes are also adorned in high-quality overlays and accents. This is no surprise considering the run of designs that come from this footwear and fashion partnership. The base here is in a White leather build. Along the inner side of the forefoot, we see perforations as a note of ventilation. The stitch patterns are rather unique and feature a border style along the toe area. 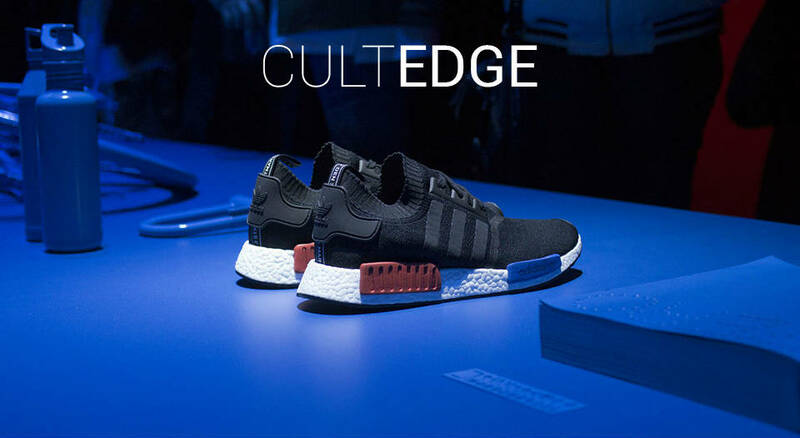 Additionally, premium details include hits of suede on the heel and neoprene along the lateral panels. Thanks to this partnership with adidas, there’s plenty of Boost underfoot on this model. The Three Stripes brand’s signature impact protection layer makes each step feel plush and sports a ton of energy return. Interestingly enough, it sits inside of a midsole that looks rather chunky. However, it’s a surprisingly light design. The whole idea here is to bring a “pioneering” runner design into the not-so-distant future. Consequently, it’s difficult to find value in this shoe if it only sticks to the visuals. If the midsole is clunky and chunky to go along with what’s hot for 2018, it defeats the whole Yamamoto design approach. Style without substance is, more than anything, an aversion for the brand. The Y-3 Kaiwa is a versatile design that, like the rest of the brand’s catalog, does a great job of bringing two approaches together. Yohji always comes with a clear vision, but the distinctive models from adidas help to translate his futurism into a modern language we can all speak. Starring during Y-3’s SS19 show, the Y-3 Kaiwa is a great look ahead into what’s next for these collaborators. If you’re into luxury sneakers, make sure to check out the latest Givenchy Leo sneakers.